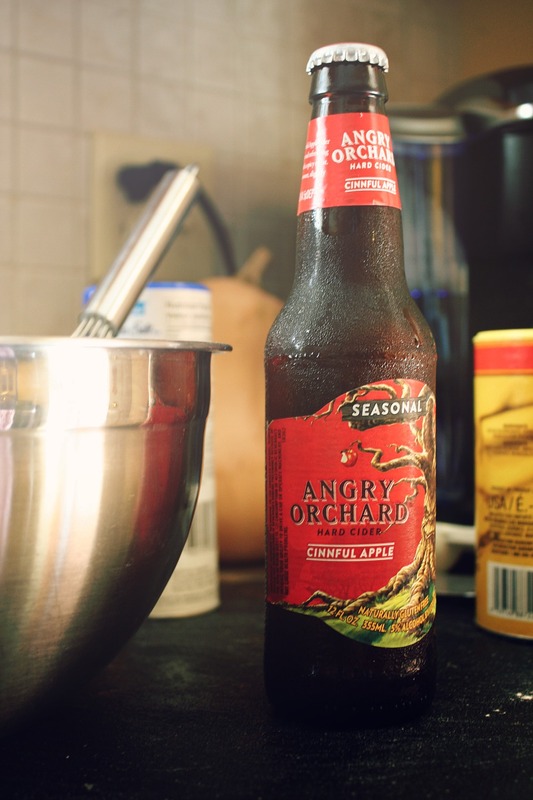 It’s no secret: I have an unhealthy obsession with Angry Orchard ciders – especially the seasonal Cinnful Apple. The notes of cinnamon and the spiced, warm feeling it gives just can’t be beat. It ~is high in sugar though, so, moderation! 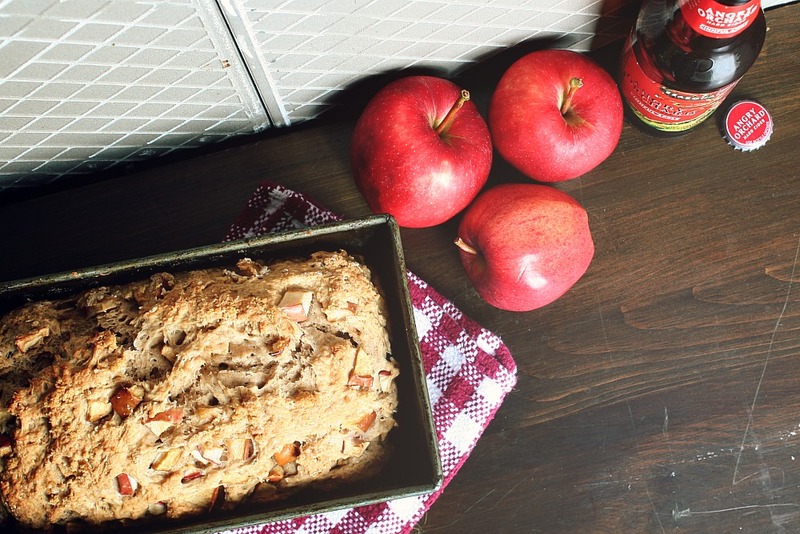 Since I’ve recently become more interested in cooking with ales, I just knew that I had to do something with my beloved Cinnful Apple – and what better than a cinnamon-spiced apple bread? This was perfect for the kind of lazy autumn-y Sunday that we had today. The smell wafting throughout the house as this baked was incredible, and the appearance? Beautiful, textured, and rustic! It definitely tasted as good as it looked. The bread was perfectly moist and spongy with a nice and crunchy crust to compliment it. 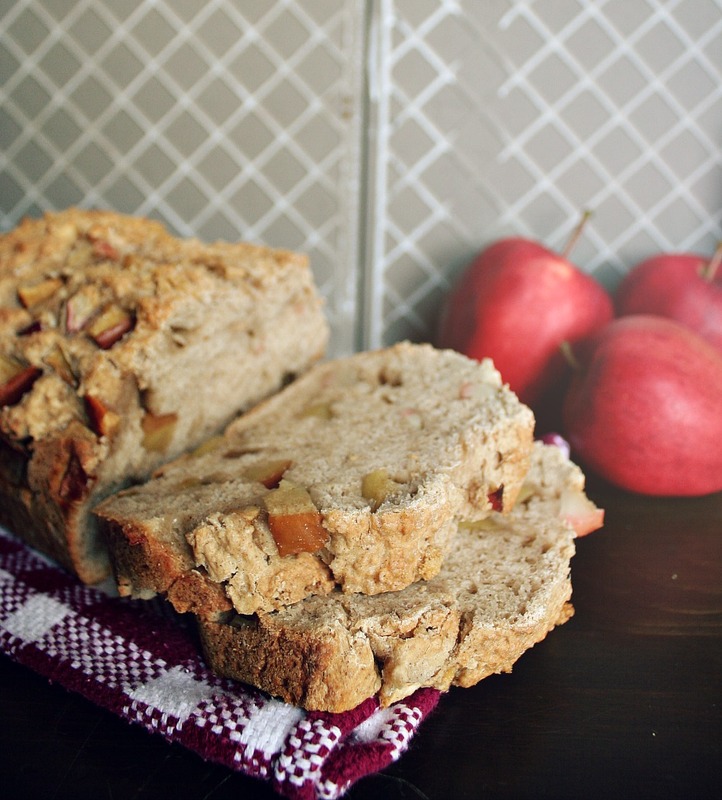 The beauty part about this recipe (well, one of the beauty parts) is that it doesn’t call for a lot of sugar and the bread itself isn’t overly sweet. It has a wonderful apple and cinnamon flavour, and you can definitely taste a hint of the cider’s influence in there. Now, I’m not much of a baker, but this bread is easy peasy! It doesn’t take long to put together, and you don’t even have to dirty a lot of dishes. Awesome. Preheat oven to 350 degrees F and lightly grease up a 9 x 5″ bread pan. Put all of the dry ingredients in a large bowl and whisk until everything is all mixed up. Make sure there aren’t any clumps. Once everything is nicely mixed, slowly pour the cider into the bowl. 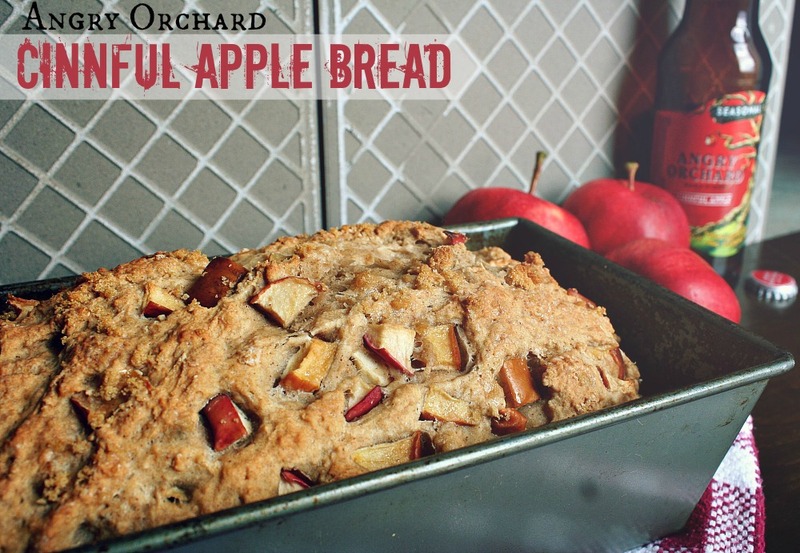 Give it a gentle stir to mix it up, and then add the apples, folding them into the dough. Make sure all of the dry ingredients are mixed into the dough. Once you’ve got your dough together, pour it into the bread pan and smooth it out evenly across the top. Sprinkle a bit of brown sugar on top of the loaf-to-be. Bake for 50-55 minutes or until you can prick it with a toothpick and have it come out clean. You know the drill! Once it’s done, place it on a cooling rack for approx. 10 minutes. 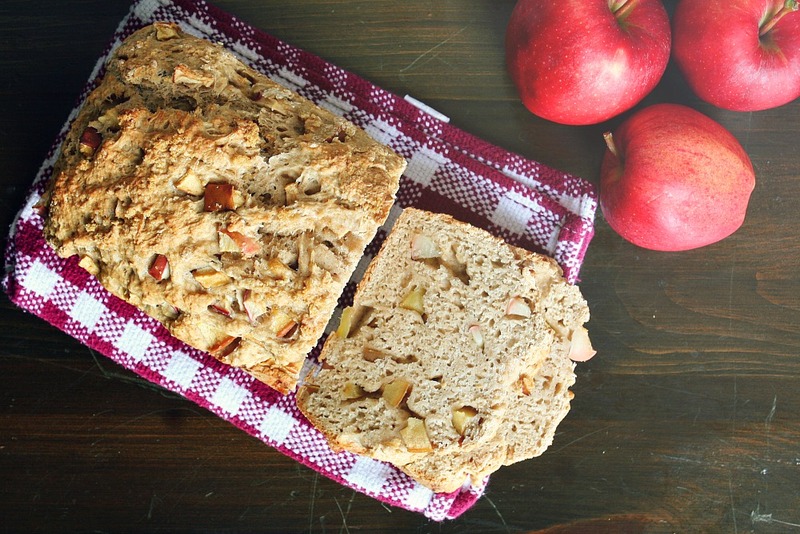 If you want things to get extra exciting, wash the bread down with some hard cider! Thanks for being so good to our taste buds, Angry Orchard.